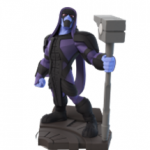 It has been a while since we have heard something about Disney Infinity 2.0, but don’t fret, they’re back with some new figurines! There are two new characters from the Disney movie Big Hero 6 and a few from Marvel. 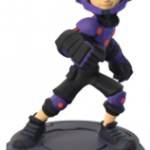 Hiro Hamada: The superboy that made the most awesome robot joins the crew. He has the most powerful brains and is capable of making Microbots. 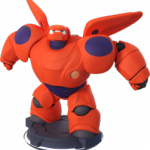 Baymax: This cute robot has its soft sides but his pouding fists are hard enough to smash his enemies. Combine that with a thick skin and Kung-Fu moves and you have got a killing machine. 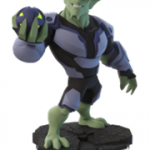 Green Goblin: Be ready for his pumpkin-bombs and his Electro Shock Gauntlet which can eliminate enemies in a second. Even more awesome, Green Goblin can make huge jumps! Ronan: This villain will always try to be the most badass of the Galaxy, so guard yourself from his supernatural attacks. Yondu: You might have guessed it, Yondu has its little arrow powerd by his whistles. If that isn’t bad enough he also knows a lot of martial arts. Auwtch!